The world is moving towards a digital future where machines are very complex to create buy pretty easy to operate. A digital calculator is a fine example of our dependence on digital technology, which can solve all the mathematics by just some tinkering. A stepper motor is just another digital device, more precisely a digital DC motor. Stepper or Stepper Motor allows you to select a certain degree of movement. Rather than making a whole spin it can divide the spin into smaller parts. The Stepper Motor can be commanded to hold a certain position for as a long as you want or you can just put a program to control the movements. The Stepper motor is best used in robots where only a certain degree of movement is required. One main problem with ordinary DC Motor is that these keep on moving round and round for infinity amount of time unless you stop feeding them with electricity. If you want to build a robot that can fetch coffee for you then you can put an ordinary motor in it for moving around but for spreading his arms, collecting the coffee and delivering it safely can only be done by using a stepper motor. But if you put an ordinary motor for controlling its arms then your coffee is probably going to end up on the floor rather than on your table. Every motor converts electricity into motion, the stepper motor or step motor is named so because it converts the electricity into discrete step motion. These steps help you to choose a particular type of motion to perform. DC Motors rotate continuously when voltage is applied to their terminals. Stepper motors, on the other hand, effectively have multiple "toothed" electromagnets arranged around a central gear-shaped piece of iron. The electromagnets are energized by an external control circuit, such as a microcontroller. The Stepper Motor itself is controlled by a driver which sends the electric pulses to the motor that shows movement in response to these electric pulses. The pulse frequency decides the total amount of movement and rotation. The frequency is controlled by the driver which in turn is controlled by a human that means you are controlling the movement directly. To make the motor shaft turn, first, one electromagnet is given power, which magnetically attracts the gear's teeth. When the gear's teeth are aligned to the first electromagnet, they are slightly offset from the next electromagnet. So when the next electromagnet is turned on and the first is turned off, the gear rotates slightly to align with the next one, and from there the process is repeated. Each of those rotations is called a "step", with an integer number of steps making a full rotation. In that way, the motor can be turned by a precise angle. Stepper motors can respond and accelerate quickly. They have low rotor inertia that can get up to speed quickly. For this reason step motors are ideal for short, quick moves. A stepper motor (or step motor) is a brushless DC electric motor that divides a full rotation into a number of equal steps. Every turn of the motor is divided into a discrete number of steps, in many cases 200 steps. The stepper motor driver sends a special pulse to the Stepper Motor for each step. Since each pulse causes the motor to rotate a precise angle, typically 1.8°, the motor's position can be controlled without any feedback mechanism. As the digital pulses increase in frequency, the step movement changes into continuous rotation, with the speed of rotation directly proportional to the frequency of the pulses. - It is very safe to use. - It is very easy to setup. - It provides with highly controlled movement. - The Stepper motors have very long life, only if you don’t break it by an accident. - It is an excellent repeater device it can repeat its movements very accurately. - Stepper motor is also very cheap as compared to other motion controlling devices. - One of the main features of stepper motor is that it can’t be damaged by overloading. - When overloaded it stops working until the load is removed. - It is easy to operate. - It offers very precise movement. - Resonance occurs if not properly controlled. - Have low efficiency; it draws more power than the out-put it provides. - Its torque is inversely proportional to its speed. - It can’t accelerate load rapidly. - It becomes very difficult to operate at high speeds. One of the most remarkable features of the step motor is its precision, the stepper motors are very accurate. But like all other human-made things these have some errors. The precision is not totally awe-inspiring it has chances of error. Standard step motors have an accuracy of ± 3 arc minutes (0.05°). 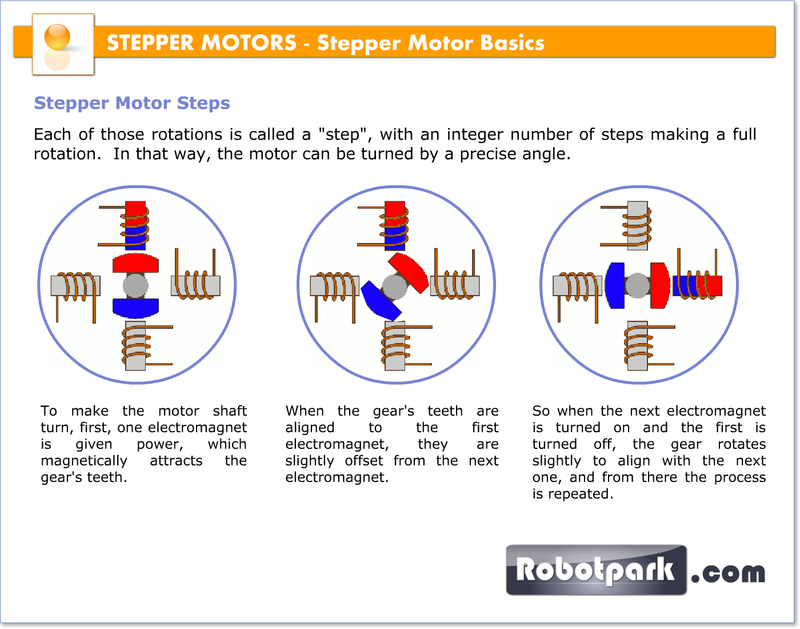 The remarkable feature of steps motors, though, is that this error does not accumulate from step to step. When a standard step motor travels one step, it will go 1.8° ± 0.05°. If the same motor travels one million steps, it will travel 1,800,000° ± 0.05°. The error does not accumulate. Mostly the error percentage is about pulse minus 0.005. These error chances remain same whether motor takes ten steps or million. 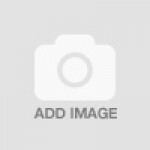 -Computer Technology: CD-Roms, DVD Players, Floppy Disk Drives, Scanners etc. -Printing : Printers, Plotters, 3D Printers etc.